The first system to clean, dry and disinfect hearing aids. 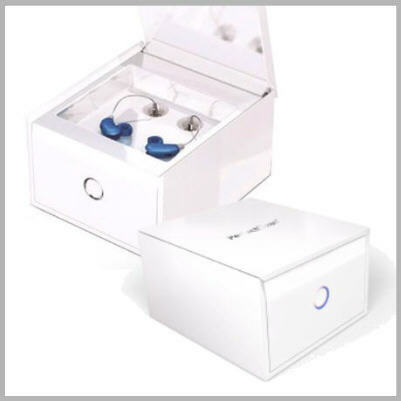 PerfectClean® is a CE marked and patented innovation specially developed for the safe and effective earwax removal, cleaning and drying of all types of hearing systems. For this, your customer simply has to set up his hearing aids in the PerfectClean® and 1h later, his aids will be totally cleaned, disinfected and dried. Your customer can fully enjoy the performance of his hearing system. PerfectClean® works with a refill (about 45 cylces): antibacterial solution that disinfects and removes ear wax. The effect is stressed with the Vortex Power.